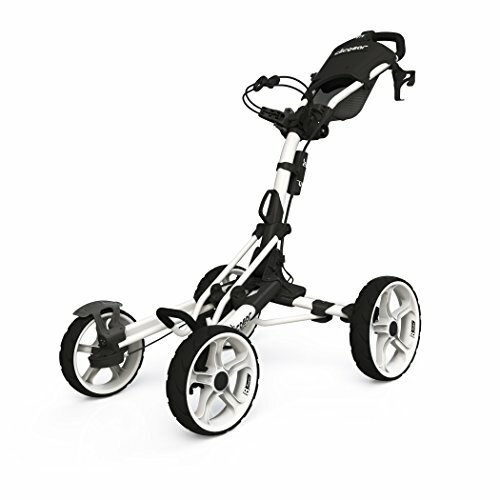 The Clicgear Model 3.5+ is the three-wheel golf push cart with all the bells and whistles! The Clicgear 3.5+ folds for easy transport and weighs only 18 pounds for effortless maneuvering. 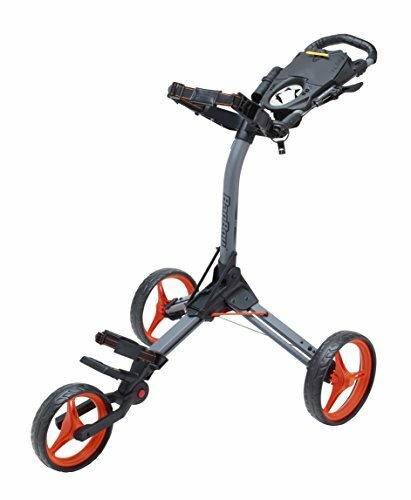 The Clicgear 3.5+ features a handle mounted hand brake, 4 accessory tabs, cup holder, easy clip bag straps, umbrella mount, maintenance free airless tires, oversized console with scorecard, golf ball, pencil, & tee holders, easily adjustable front wheel alignment system, independent handle adjustment, and adjustable bag saddle system to accommodate all bag sizes. The Bag Boy Express DLX Pro Push Golf Cart combines a lightweight, sturdy frame with with a simple two-step fold; push on/off brake system; deluxe scorecard holder - and more. 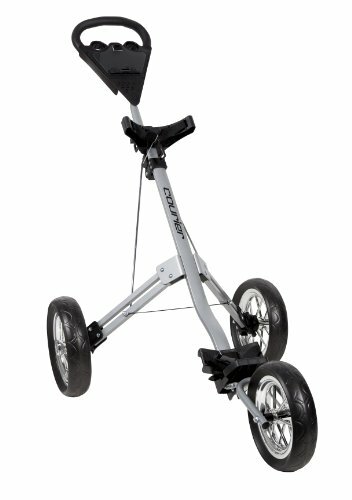 Cart bag and stand bag compatible. This is the fastest folding/unfolding golf cart in the world. With the push of a button, the cart folds. Just lift the handle and the cart is ready for use. For a limited time, we are including a FREE UMBRELLA HOLDER with this purchase! STURDY & LIGHTWEIGHT ALUMINUM FRAME! UMBRELLA HOLDER IS INCLUDED WITH THE CART! FOLDS IN ONE SECOND! VERY COMPACT TO FIT ANYWHERE! 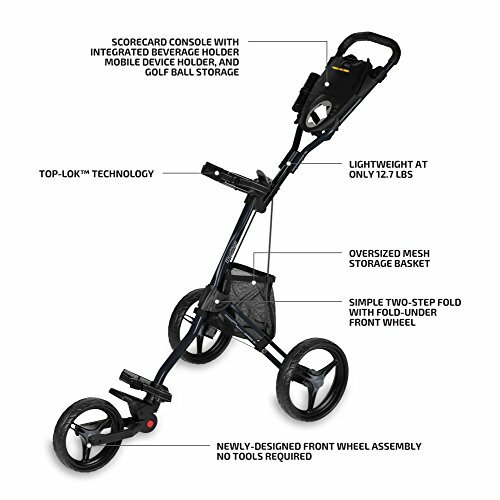 The Clicgear Model 8 is simply the most advanced four-wheel cart in the golf industry. It is engineered to fold easily while maintaining a high standard of quality and reliability. 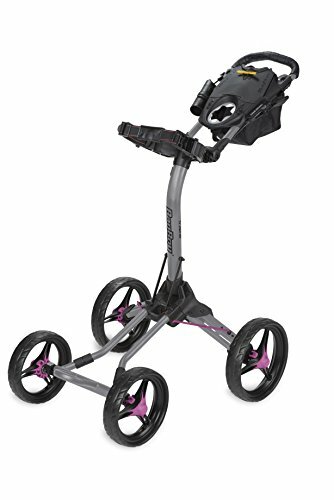 The Clicgear Model 8 features a handle mounted hand brake, 4 accessory tabs, 2 cup holders, handle lock lever, bag strap storage clip, umbrella holder, main lock slide handle, maintenance free airless tires, dual front brakes, oversized console with magnetic closure, step guard to keep the cart in place while folding, easily, adjustable dual front wheel alignment to ensure your cart will always steer straight and patented frame V-Slide to close. Our most durable and stable cart to date! Tangkula folding golf cart constructs strong steel frame and 3 EVA cover wheels. The golf push cart wheels are removable to save storage room. The construction is stable and will hold any size golf bag. 3 wheels provides excellent balance. The 10.2" rear wheels will move smoothly in any type terrain. There is foot break in the rear wheels to stop the cart. You can put your phone or gloves or other personal items in the storage holder and insert 2 replace golf balls in it, and there is cup holder in the handle bar. Extra golf tees can be also inserted on the cart. Standard umbrella holder will serve you in sunny days. You can put more golf balls in the mesh net. The design is specially convenient for beginners. On the way off or to the course, you can fold the cart and put the compact cart in your car. The height of handle bar can be adjusted easily to accommodate different positions. Direction of front wheel can be adjusted to accommodate different situation. With Tangkula golf cart will bring your golf game more convenience. Welcome to buy one! Front Wheel Size of golf cart: 7.5"
Rear Wheel Size of golf cart: approx 10"
We measure all size by hand, there will a little error between data and real cart. Thanks for your understanding and support. 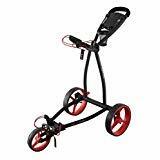 Folding Frame& Lightweight Golf push cart can be folded easily to compact size(27" x 18" x 6.5"), and weight of golf cart is approx 13 lbs. Lightweight but strong enough. You can take off the wheels in seconds to save storage room. The cart can be easy to storage and transport easily. 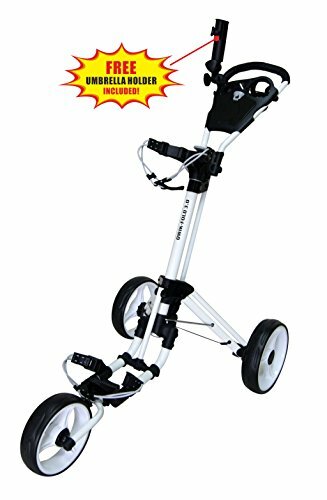 Durable & Practical Design Golf pull push cart comes with high quality steel construction and PP with EVA cover wheels, which ensures large weight capacity and perfect balance and traction on all types of terrain. With adjustable bag straps the cart can fix any size golf bag. You can adjust height of push handle and direction of front wheel to accommodate different positions. Movement & Park Large 10.2 rear and 7.5 front EVA maintenance-free wheels provides balance and easy mobility on the course. When not in motion, press the brake on the rear wheel, the cart will be parked well and press again to release foot brake. Package & Shipping Simple assemble needed. You will get folding golf cart. Umbrella holder, scorecard holder integrated with storage compartment, cup holder, mesh net and golf tee holder are all designed on the cart. You can insert extra 2 golf balls in the storage compartment and more golf balls in the mesh nets. This cart is convenient for begginers. The cart will be shipped to your house in 3-6 Business days via ups or usps. Customer service & Guarantee If there is any questions plz feel free to contact with us, our experienced customer service team will response in 24 hours. We packed this golf cart as good as we can, if there is any part missing or damaged during shipping, please contact us first and offer us pictures of damaged part, we will solve the problem as the way you want(replacement at no charge or discount). New for 2016, the Quad XL is packed with features. Stand and cart bag friendly upper bag bracket prevents the golf bag from twisting. Oversized scorecard holder with a smart phone holder and golf ball storage. Four wheels offer superior stability. Handle mounted parking brake. NEW integrated beverage holder. NEW and improved oversized aluminum frame tubing. Super compact for storage and transport. 9.5 inch front and 11.5 inch rear oversized wheels roll through grass with ease. Lightweight, weather resistant frame. Handle mounted parking brake. Unlimited handle adjustments accommodates golfers of all heights. Extendable front wheel base accommodates bags of various sizes. Oversized storage bag conveniently located under the score card holder. NEW Integrated beverage holder. Tee and ball marker holder. Umbrella holder included. Lightweight, solid foam maintenance free tires. Weight: 16 lbs. 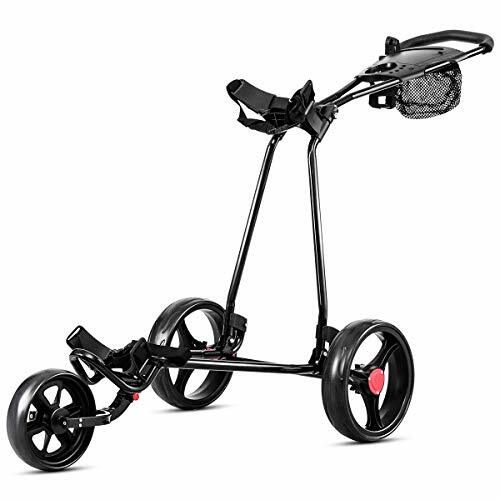 The Courier Cruiser 3 Wheel Cart is a great entry-level cart for someone looking to relieve the hassle of carrying a heavy golf bag every round. The durable, easy to install anti-slide wheels fit into the lightweight aluminum frame that collapses in two simple steps. 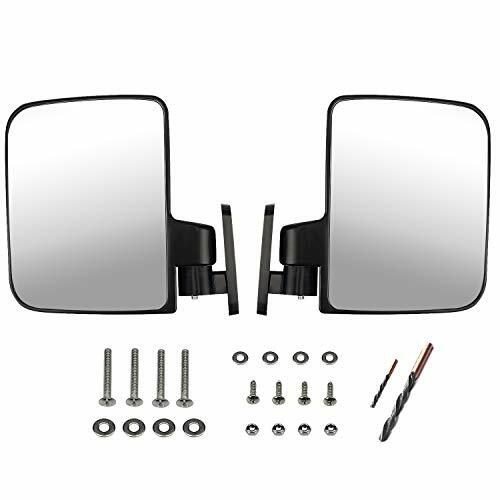 NEW UPGRADE : 1 pair (2) folding side view mirrors in box, 2 bolt universal mount and Matching installation drill bit 2, 5"X 7" Fold in fully adjustable. WIDELY USED : Universal golf cart side mirrors, fit for all models ,Such as Club Car, EZ-GO, Yamaha, Star, Zone Carts,etc. SECURITY UPGRADE : Golf cart universal side mirrors-real glass lens of the mirror, give you non-distorted and ultra clear images, helping to reduce blind spots and ensure your driving safety. HIGH QUALITY : Strong and Durable: High impact ABS housing frame and sturdy mounting brackets holds the mirror tightly, better prevent wind and shock.effectively mitigates higher impact and damage. EASY LNSTALLATION : Matching installation drill bit,Simple hardware is easier to install Please refer to the installation instructions or contact the seller. 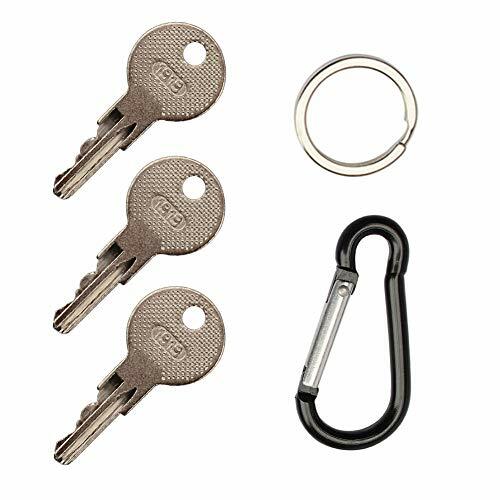 This replacement ignition key is used on 1982-current E-Z-GO Gas & Electric Vehicles, including: Medalist, Marathon, TXT, RXV, 800 & 1200 Hauler, Workhorse-MPT (Multi-Purpose Truck) 800/1000/1200 Models and the ST Sport & ST 350 Utility Vehicles with factory ignition switch. 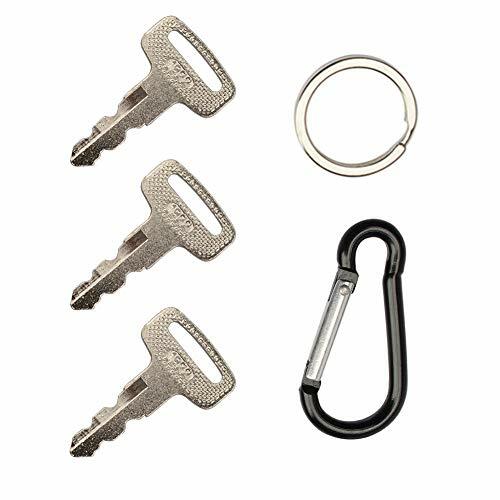 This is a replacement ignition key for a set of (3 keys) OEM G14-G29. For Yamaha Gas and Electric G14, G16, G19,G20,G21,G22,G29 Drive golf carts. 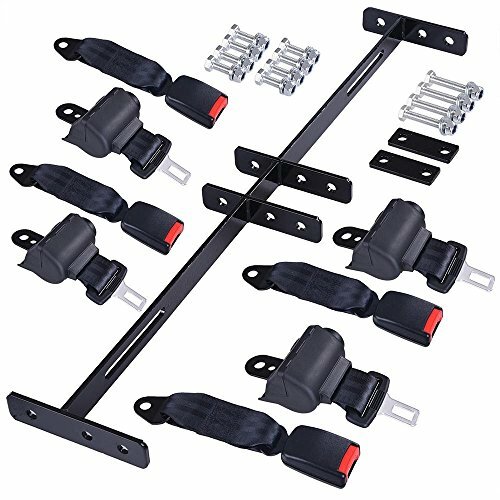 Bracket for Mounting to Club Car, EZGO or Yamaha Golf Cart Included. 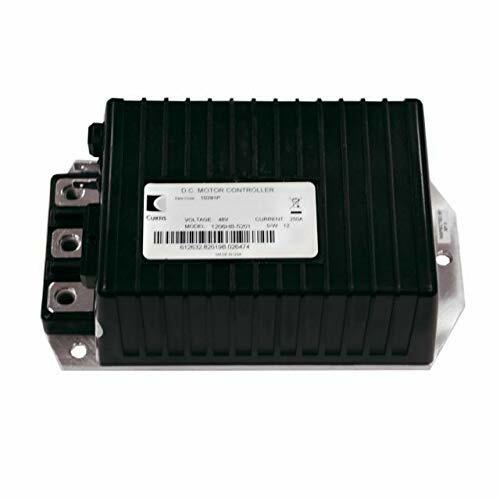 Universal fit for MOST EZGO Yamaha and Club Car Golf Carts. Customer Service Beyond the Sale.